Become a GasGardener today! You won't regret it, it's the best relief from high gas prices everyone has been waiting for. Help us help you. Have a business and want to become one of our sponsors? Be sure to contact us today! Growing Gasoline Online? Easy as steps 1-2-3! that's right... plant your seeds and harvest the free gas rewards! The more you play, the more free gas you earn from us. No catches. Just get that lazy a$$ of yours off the couch and do it already! 2. Watch Your Gas Grow! 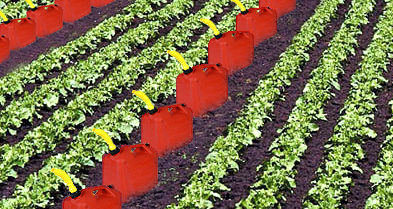 Points awarded to you from playing our trivia games can be harvested as free gas, no joke! We promise this will be the best relief from high gas prices! 3. Free Gas In Your Hands! We don't want to burn the mailman, so we'll send you a gas card equivalent to the amount you've harvested. Now go tell all your friends, and fill up your SUV! Still not convinced? Log in and give us a test drive, and you'll wonder how you could have ever lived without GasGarden! If you have any comments or questions feel free to give us a buzz (but if you have medical and/or personal questions, please call your doctor or psychologist instead!). © 2006 GasGarden. All rights reserved.